How Do Seeds of Cultivated Plants Compare to Wild Plants? Wild seeds are those that grow natively in a given area, while cultivated seeds are commercially prepared and packaged or gathered by a home gardener in a controlled setting. Both have potential benefits and drawbacks when planted for home use. Wild plants operate by the mechanism of natural selection, meaning that the seeds (and plants) that survive are those most vigorous or suited to the natural environment. Weak or inferior plants generally die out and are replaced by stronger or more adaptive ones. Seeds usually produce exact replicates of the parent plant. Cultivated seeds are manipulated in a number of ways. Growers cross plants with desirable characteristics to make new hybrids. These seeds produce plants that are more disease-resistant, grow faster or are more pleasing to the human eye or taste. Hybrids are the result of a cross between two parent plants, so the seeds from a hybrid plant may produce unpredictable results. Wild seeds are not tampered with or modified in any way, while cultivated seeds are often treated with fungicides or are genetically modified (GMO) in some way. The practice of genetically modifying foods is a controversial issue. Proponents say GMO seed requires less fertilizer, pesticides and water and produces more food. Critics say the effects of GMO crops are still unknown, and point to studies that indicate the modified foods may cause health problems, including organ failure. Seeds have a protective seedcoat or outer shell. This shell is very hard in some species and must be broken down for the seed to germinate. Scarification, or the softening of this shell, happens naturally in wild seeds through several means. When the seeds are eaten by animals, the seedcoat breaks down as it goes through the animal's digestive tract. Some seedcoats are broken down through moisture or cold temperatures. Cultivated seeds are often dried, soaked, frozen or nicked with a file to soften the shell, according to the United States Environmental Protection Agency. Commercial seeds are sometimes treated with products to soften the seedcoat. 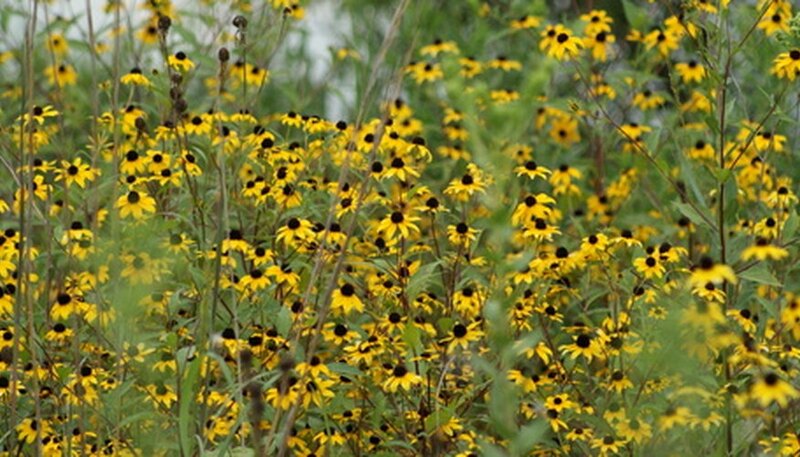 Wild seeds are well-adapted to the rigors of their native climate. They rely on the rain that falls for moisture and must out compete weeds, as well as tolerate the natural conditions of the soil. Cultivated seeds generally are not native to the climate they are growing in, so gardeners must recreate ideal conditions by supplying additional water, fertilizer or warmth. When choosing landscaping plants, such as perennials, trees and shrubs, native seeds and plants are almost always more vigorous, disease-resistant and resilient than non-natives. These plants require less maintenance and fewer resources, such as fertilizer and water. When collecting seeds from the wild, always ask permission and only gather one-fourth of the seeds, advises the Illinois State Museum. Vegetable gardeners generally grow cultivated seeds, although choosing varieties adapted to the climate improves gardening success. Heirloom vegetable seeds are not modified or hybridized. These seeds are as close to wild as a vegetable gardener is likely to get.